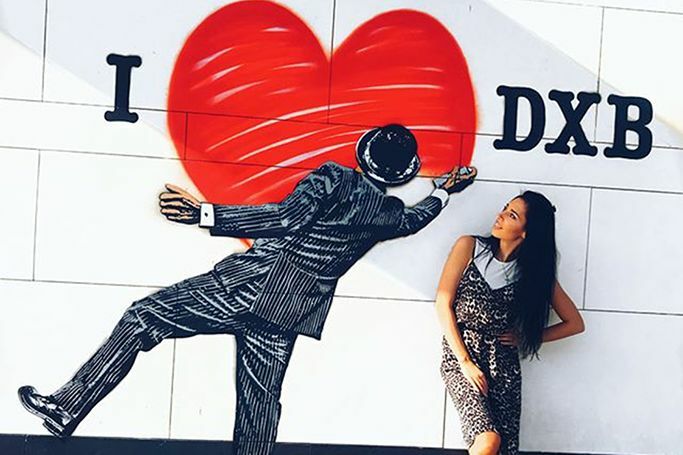 We’ve been spotting fashionistas on the streets of London, New York and Milan, but Dubai’s style stars certainly know how to take the perfect Instagram which is why we’ve brought street style back to Dubai’s tree-lined City Walk to highlight Dubai’s best dressed this week. With shops , cinemas and painted murals made for Instagram-worthy backdrops, City Walk is the perfect place to show off your new on trend animal print dress or the must have sunglasses for spring in the Middle East. With new food trucks, Miami vibes, pink sun loungers and giant pineapples to pose with, we’ll definitely be showcasing our best Dubai street style looks at Dubai’s City Walk this weekend. #18 If you were a fruit you'd be a fine-apple! Be a pineapple, stand tall, wear a crown and be sweet on the inside Have a lovely week everyone!